‘Millennials’ has been the buzzword of the last several years as marketers have been trying to understand that generation and how to address their radically different purchasing behaviors. Now enter an equally complex generation: Generation Z. Who are they? Defined as individuals born between 1997-2011, its oldest members are just about to enter the workforce while its youngest members are still being censored on YouTube. Not to be underestimated, Gen Z expected to account for 40% of all shoppers by 2020. The infamous words parents and authority figures hear from younger generations. In this case, it is actually somewhat true. While similar to millennials, Gen Z is more accepting and more diverse than its predecessors. According to the Census Bureau, 48% of Gen Z is non-Caucasian, more than any previous generation. They’re more willing to embrace relationships with different races and are more likely to have friends of a different sexual orientation. How does this impact brand loyalty? Gen Z expects brands to not only understand their diversity, but to embrace it as thoughtfully as they have. This means that insensitive marketing initiatives will have more direct impact on a brand’s bottom line than it has in the past, making it more difficult to recover (see: Pepsi’s Kendall Jenner ad and H&M’s sweatshirt selection). Gen Z is hesitant to give a brand their loyalty and quick to take it away. Brands and retailers must find ways to communicate with Gen Z that embraces their diversity in an authentic way. In today’s climate, many brands are hesitant to take a stand on social and political issues, but are feeling continued pressure from millennials and Gen Z to do just that. Younger consumers want to connect with brands that take a stand and want to make the world a better place. However, this is much easier said than done, with brands running the risk of stepping over the line and coming across as disingenuous, like Pepsi’s ad. Rather than erring on the side of caution out of fear of being offensive, brands should instead focus on standing for what they believe in. Brands like Patagonia have been vocal about their beliefs that directly reflect their brand, which in this case were national monument rollbacks. Other brands like Burger King have taken a stand on a controversial issues that don’t have as clear of a tie to their brand, but that resonated with consumers. Gen Z’s brand loyalty isn’t bought, but earned. Brands that can take a genuine stand on important issues to this generation will earn their loyalty. Brands are no longer successful in gaining customer loyalty by being the loudest and most visible. Gen Z is the first generation to grow up truly mobile-first. Even most millennials remember a time without internet and smartphones. Gen Z has been bombarded with marketing messages for as long as they can remember and have become a generation of marketing skeptics. Gen Z is willing to share their data with brands if it means that they’ll receive more personalized marketing messages. They’re willing to hear brands talk about themselves, but that can’t be ALL brands say. This is a generation that grew up with online communities being a commodity and want their relationships with brands to be more than a one-way conversation. Gen Z wants to consume brand content without feeling like they’re being sold to, which is where personalization plays a major role. This is where communicating with Gen Z through various channels is an important factor in getting messaging across. Approximately 80% of Gen Z say their purchasing decisions are influenced by what they see on social media. This generation is more likely to interact with a brand on social media, but is also more likely to disengage if that interaction is inauthentic, or if the brand is slow to respond. While technology has been rapidly evolving, many brands and retailers have struggled to keep pace not only with the technology itself, but also with the changing consumer expectations that have resulted from it. As a digitally native generation, Gen Z is an example of the “Amazon effect,” in which they expect constant reinvention and innovation from brands. Diverse, mobile-first and socially conscious, Gen Z, like its predecessor, millennials, will continue to challenge traditional marketing strategies. 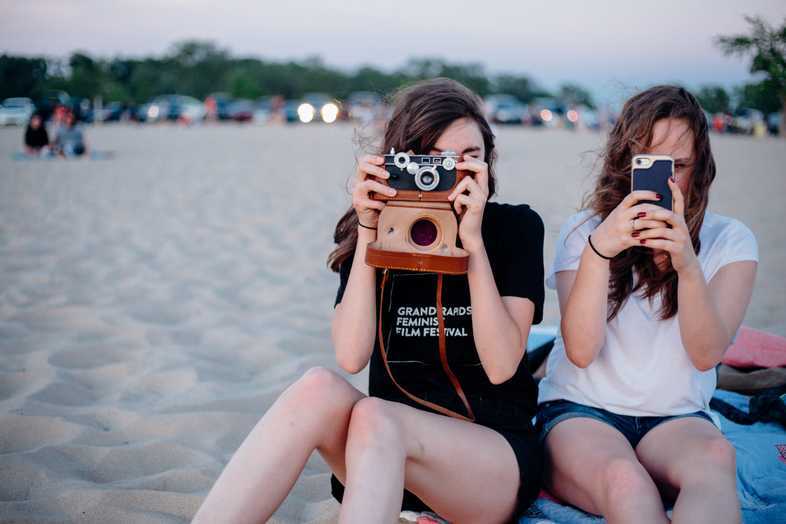 Authenticity and personalization can make all of the difference when it comes to attracting and maintaining Gen Z’s attention and brand loyalty.